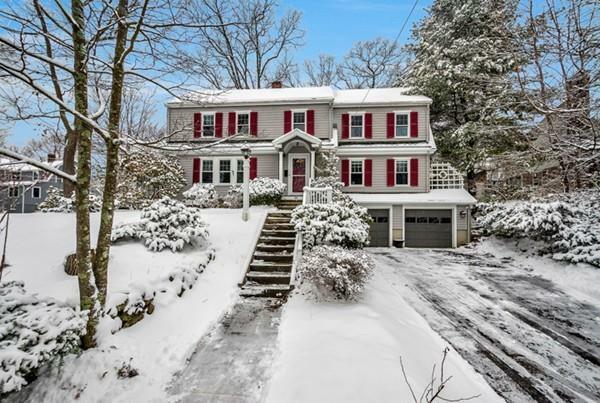 Don't miss this expanded Colonial brimming with charming details throughout! Great floor plan showcases well-proportioned rooms filled with an abundance of natural light and rich hardwoods. The nicely renovated kitchen includes stainless steel appliances, decorative tile backsplash and sleek granite counters. 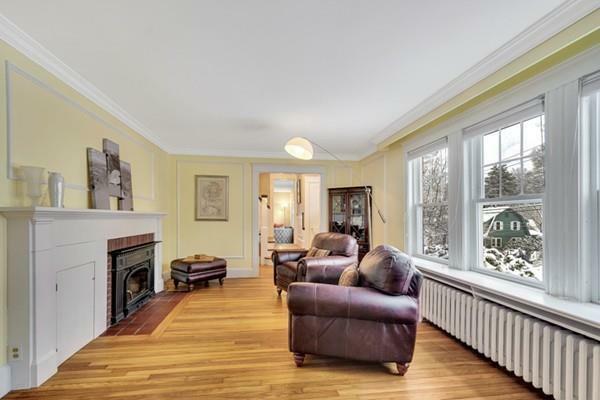 A bay window breakfast area opens to a large family room featuring French doors. Entertain guests in the warm inviting living room with wood-burning, Vermont Castings fireplace. Dining room with built-in cabinet. Freshly renovated first floor powder room. Spacious master suite features a Palladian window, walk-in closet and recently remodeled master bath with tiled shower. Walk-up attic provides easy access to additional storage. Gas Heat, H.W, and Cooking. Host of private outdoor living spaces includes a deck, patio, and fabulous three-season porch. Beautiful landscaping and mature plantings enhance this home in a convenient location close to town and train. A pleasure to show! 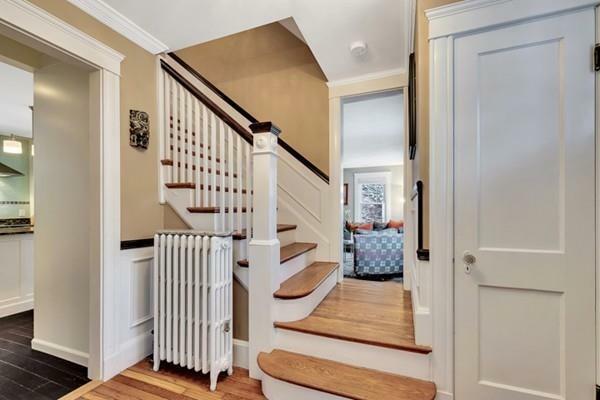 Listing courtesy of William Concannon of Louise Condon Realty. Exclusions Light Fixture in Breakfast Room. Firewood. Basement Freezer. Television. 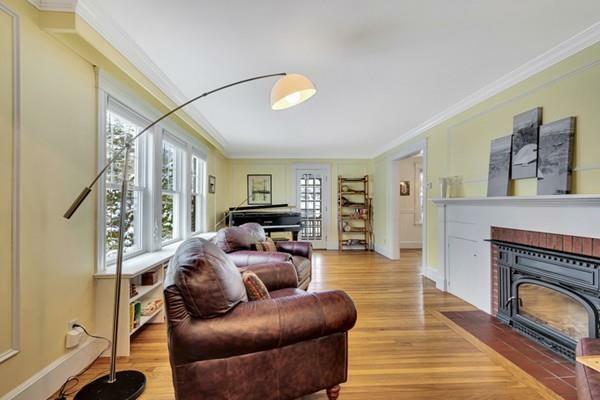 Listing provided courtesy of William Concannon of Louise Condon Realty.